BRUSSELS, November 28, 2017 - AVA was awarded the SEAL of Excellence within EU Framework Programme for Research and Innovation 2014-2020. 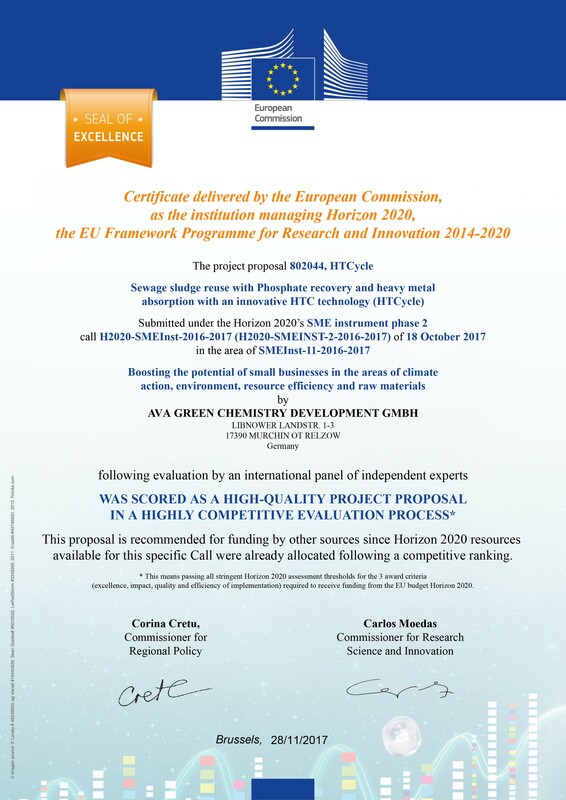 The award was offered for the project proposal submitted by AVA under Horizon 2020’s SME instrument phase 2. The project 802044, HTCycle which refers to the sewage sludge reuse with phosphate recovery and heavy metals was scored as a high-quality project proposal in a highly competitive evaluation process.